WASHINGTON — The Martin Luther King Jr. holiday weekend and two separate marches in downtown D.C. mean traffic and transit changes for the region from Friday through Monday. The annual March for Life leads to parking restrictions and road closures Friday around Capital One Arena and between the White House and the Capitol. Constitution Avenue Northwest is scheduled to be closed from 10 a.m. to 3 p.m. between 14th Street and Pennsylvania Avenue, and 3rd Street and 4th Street are scheduled to be closed across the National Mall. The closures are expected to lead to delays for afternoon commuters and commuter bus riders headed home in any direction Friday on a day that many commuters often leave early for the long weekend. The same goes for Maryland’s MTA Commuter Bus and other bus services. 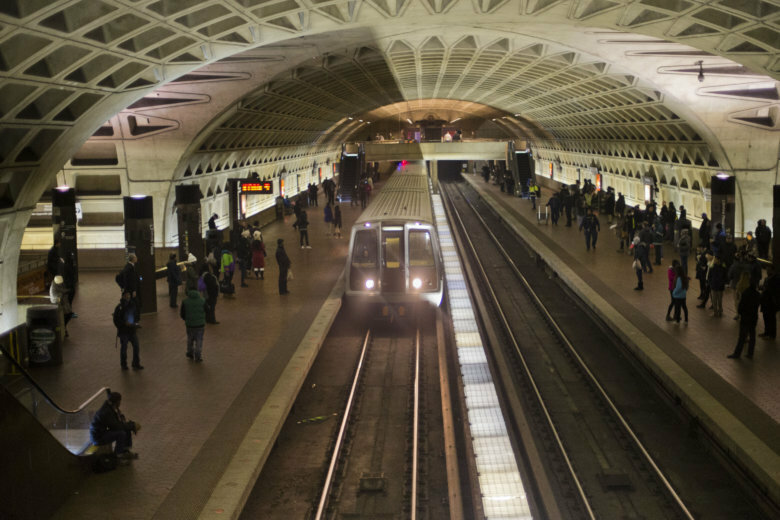 Metro plans a normal weekday schedule, and should have plenty of room with recent ridership declines due to the partial government shutdown. On Saturday, the third Women’s March on Washington is scheduled to close Pennsylvania Avenue Northwest around Freedom Plaza from 6:30 a.m. to 4 p.m. The actual march, which organizers moved off the National Mall, is scheduled to close several more blocks of Pennsylvania Avenue Northwest, 11th Street Northwest, E Street Northwest and 12th Street Northwest from 10 a.m. to 3 p.m.
D.C. police planned to have Pennsylvania Avenue closed from 9th to 15th streets Northwest. Emergency no parking rules will be in place in the area. Metro has limited track work on Saturday in case there are crowds, but plans regular weekend service. After 10 p.m. Saturday, single-tracking is scheduled on the Red, Blue and Yellow lines. Maryland’s MARC Train has a special schedule on the Penn Line Saturday in place of usual weekend service due to potential crowds. Free parking is available at stations such as Odenton and Bowie State, while paid parking is available at Penn Station and BWI Marshall Airport Rail Station. Fares from Baltimore to Union Station are $8, from BWI Marshall to Union Station are $7, and Bowie State to Washington are $6. MARC is not allowing bikes on its trains Saturday due to expected crowds. The march-related changes are in addition to other events, closures and delays around the region this weekend. The eastbound Dulles Access Road is scheduled to be detoured into part of the Dulles Toll Road from late Friday night through Saturday afternoon. In Maryland, two lanes of northbound Rockville Pike are scheduled to be closed from Friday night through Monday morning in front of National Institutes of Health. On Sunday and Monday, Metro has scheduled single-tracking on the Red, Blue and Yellow lines for track work. On the Blue and Yellow lines, trains are scheduled to single-track between Pentagon City and Reagan National Airport. Trains on each line are scheduled every 20 minutes, with Yellow Line trains cut back to run only between Huntington and Mount Vernon Square most of the day. On the Red Line, trains are scheduled to single-track between Farragut North and Judiciary Square. Trains are scheduled every 20 minutes along the length of the line, with additional service during the day between Shady Grove and Farragut North. The Martin Luther King Jr. Day holiday is Monday, and Metro will treat it like a weekend but with Monday hours of 5 a.m. to 11:30 p.m. Trains are due to run every 12 minutes with off-peak fares and free parking. Parking meters are not enforced on streets across the region. The District’s Martin Luther King Jr. Parade is scheduled to close Martin Luther King Jr. Avenue SE from Good Hope Road past The Big Chair, Anacostia Metro and St. Elizabeths to Malcolm X Avenue from 10:30 a.m. to 2:30 p.m. Monday.Drivers will not be allowed to cross the parade route. Metrobus is scheduled to be on a Saturday supplemental schedule. MetroAccess subscription trips are canceled. There is no Virginia Railway Express service Monday. Maryland’s MARC Train runs only an R schedule and only on the Penn Line. MARC’s Camden and Brunswick Lines do not run on the holiday. In Frederick, Maryland, there is no peak-hour TransIT Connector service Monday and no TransIT-Plus service. MTA Maryland Commuter Bus does not run Monday, except for Route 201 which runs on a weekend/holiday schedule. Montgomery County RideOn buses run on a modified holiday schedule. Prince George’s County’s TheBus runs a regular schedule Monday except Route 51, which does not run Monday. Loudoun County commuter bus and Metro Connection services are canceled Monday. Local fixed route buses in Loudoun run on regular schedules. PRTC in Prince William County, Manassas and Manassas Park runs regular service on Metro Express and OmniRide Local and Cross County Connector Routes. PRTC OmniRide Express commuter buses do not run on the holiday. Fairfax Connector runs a holiday weekday schedule on the holiday. Arlington’s ART buses run on Saturday schedules on select routes. Alexandria’s DASH Bus also runs on a Saturday schedule.